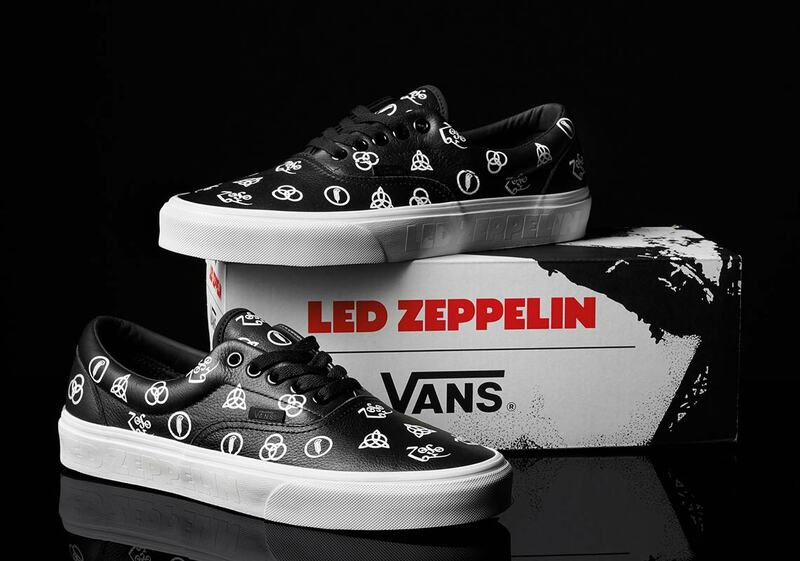 2019 marks 50 years since the debut of Led Zeppelin’s iconic self-titled debut album, and Vans is paying homage to the impact of that historic introduction with a special capsule collection of footwear and apparel. 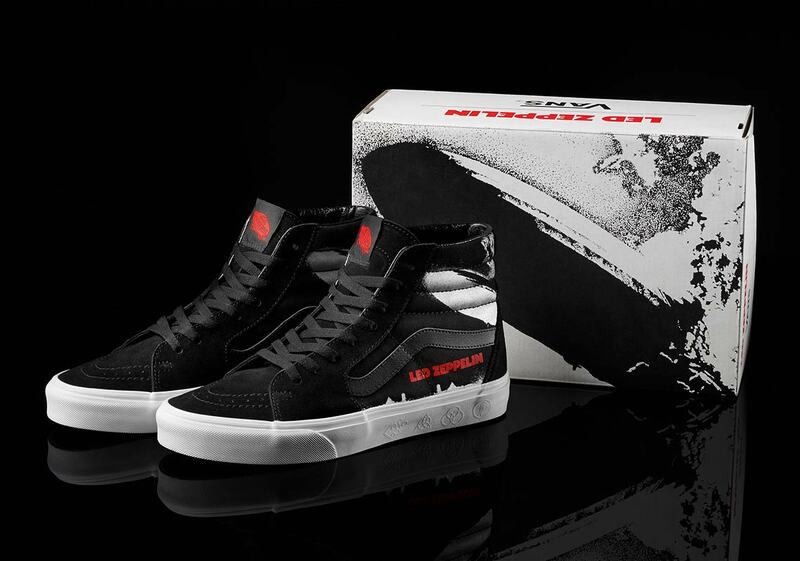 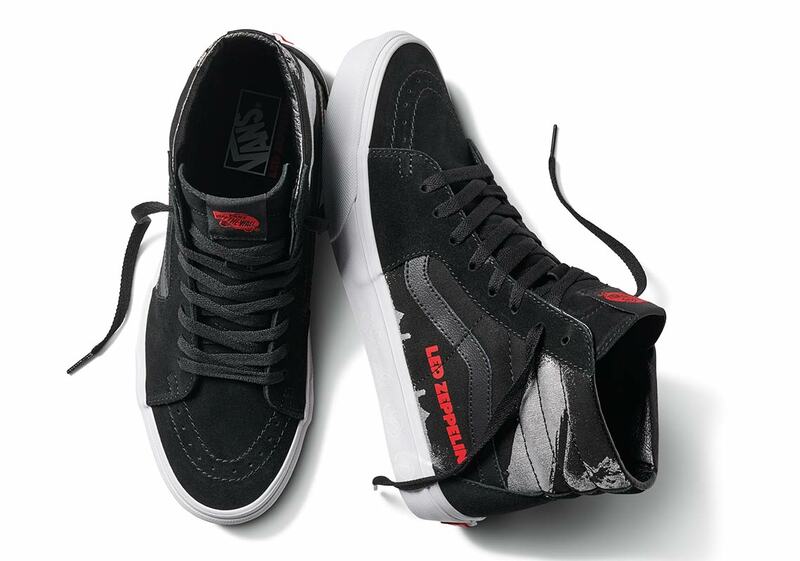 The London-based rock band’s initial effort changed the world of popular music with generation-spanning hits like “Good Times, Bad Times,” and is widely considered one of the most influential bodies of rock music ever, so Vans has called upon a duo of their most iconic silhouettes in tribute: the Vans Sk8-Hi and Era. 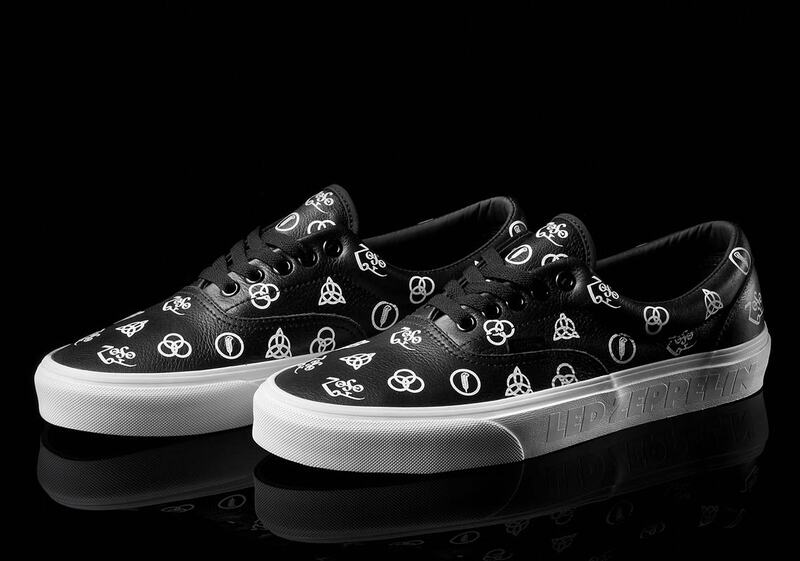 Each shoe pays homage to the band in a unique way. 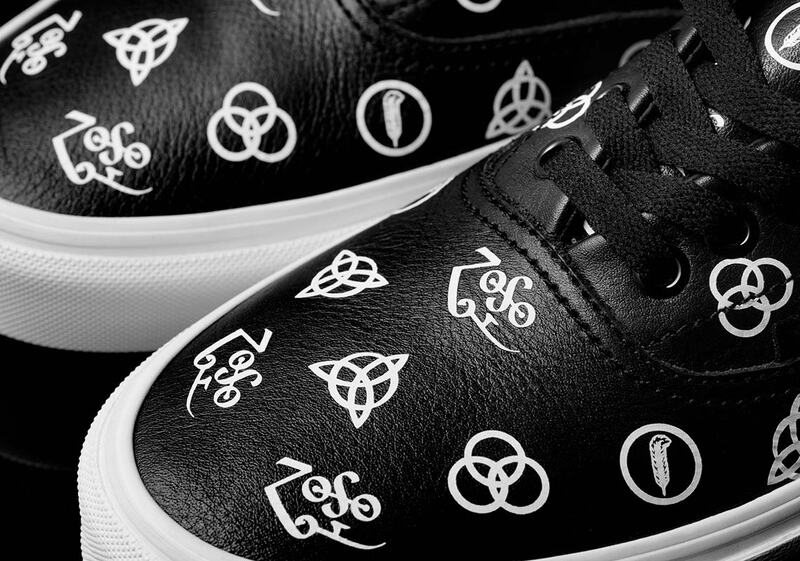 The Era features an all-over print that utilizes each band member’s individual symbol, while the symbols and a large Led Zeppelin text hit appear embossed on the midsole. 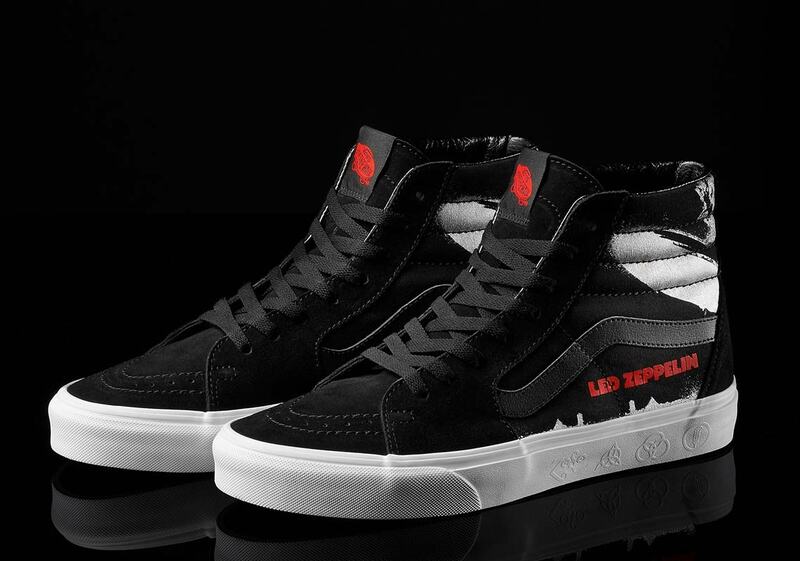 The Sk8-Hi features the album’s classic cover — the burning Hindenburg Airship — printed across the lateral and medial quarters, while red Led Zeppelin text branding and a red tongue patch add a little colorful contrast. 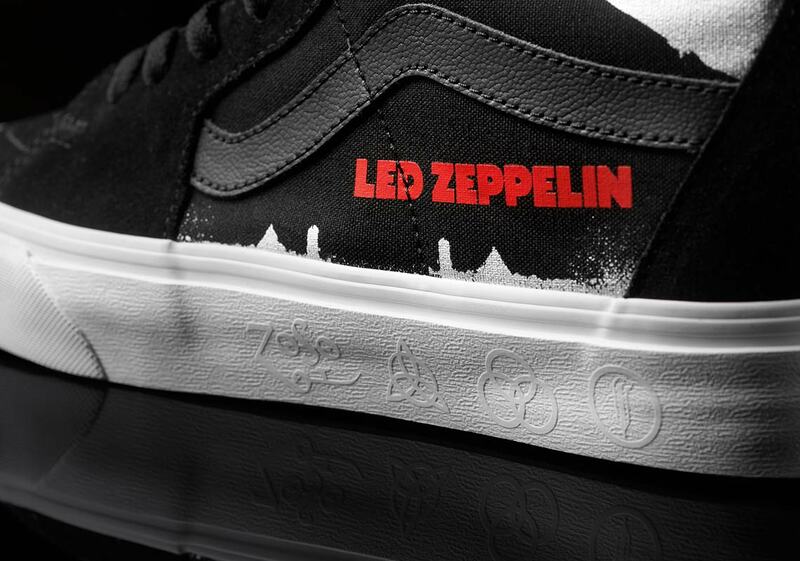 More Zeppelin branding can also be found hidden on the inside of the tongue, and the same printed symbols from the Era also return on the Sk8-Hi’s midsole. 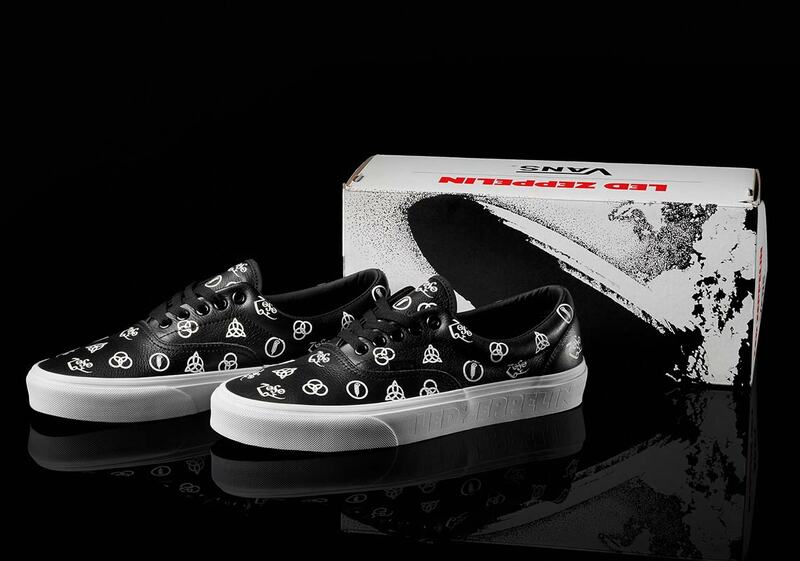 Both shoes are packaged in a custom box, and the collection is rounded off by a collaborative trucker hat and long-sleeve tee. 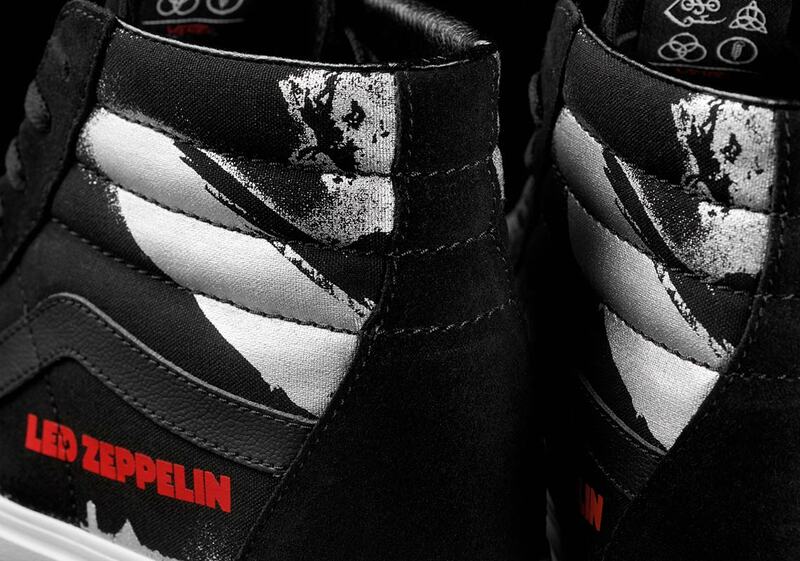 Zeppelin fans can expect the complete capsule to release on Vans.com and at the Led Zeppelin webstore February 22nd. 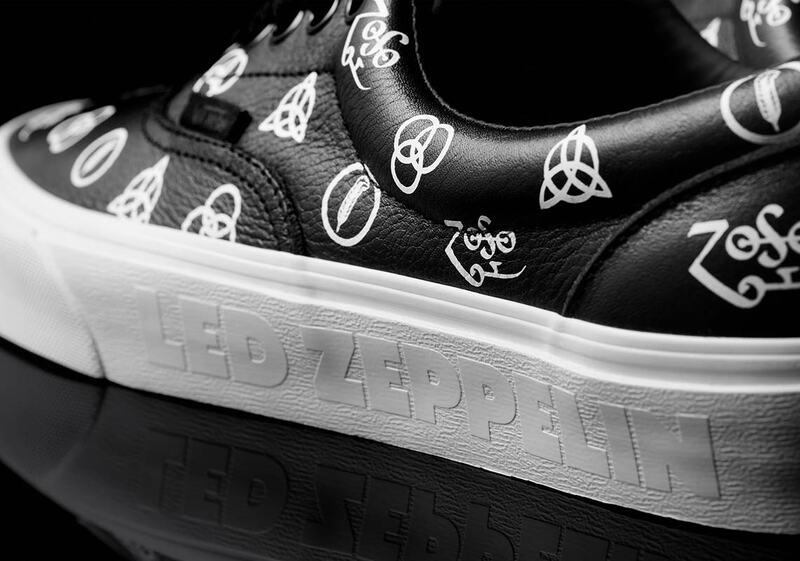 The post Led Zeppelin Celebrates 50th Anniversary With Vans Collaboration appeared first on Sneaker News.